Some years ago, I inherited a wild and wonderful thing. It was a well loved recipe box from an aunt, and it contained a wealth of information on 3X5 inch index cards. The box was in ill repair, with a broken hinge and made of unknown wood. The cards weren't in much better shape, and the ink was fading fast. Some of the cards had yellowed bits of recipes clipped from The Budget pasted on to them, while others had scrawled canning recipes that were only five sentences long. It was fun reading, but a real mess and almost a loss. Some of the cards were so worn from age that the ink was disappearing. I knew it was worth saving. First, I bought a new box. A sturdy wooden one with a folksy scene hand-painted on it. Then I found a free online program that would allow me to type in the recipes and print them out on card stock paper. I often did this in my free time when I worked at the library. Then I carefully hand cut the cards and filed them in my new box. 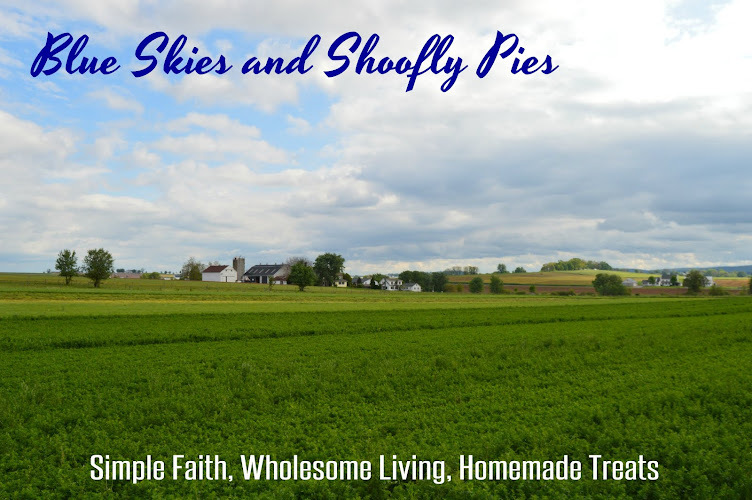 It was fun to type up many years worth of concoctions and tips, everything from a sour milk cake to a homemade fly repellant. An older cousin found out about my project and sent me a few of my great grandmother's specialties, which included an extremely simple pickle recipe and a instructions for bread stuffing that contained some suspicious store bought ingredients. Let's not look too closely at that one. Heirloom, indeed. Over the years I've added some of my own favorites to the collection. Ten years later, there are still an awful lot of the original recipes I have never tried, while some have gone on to become family favorites. A few have been tweaked into something a little more special, but they all retain the basic, economical and no-fuss qualities that you would expect from a woman who wouldn't have had time to mess around in the kitchen. 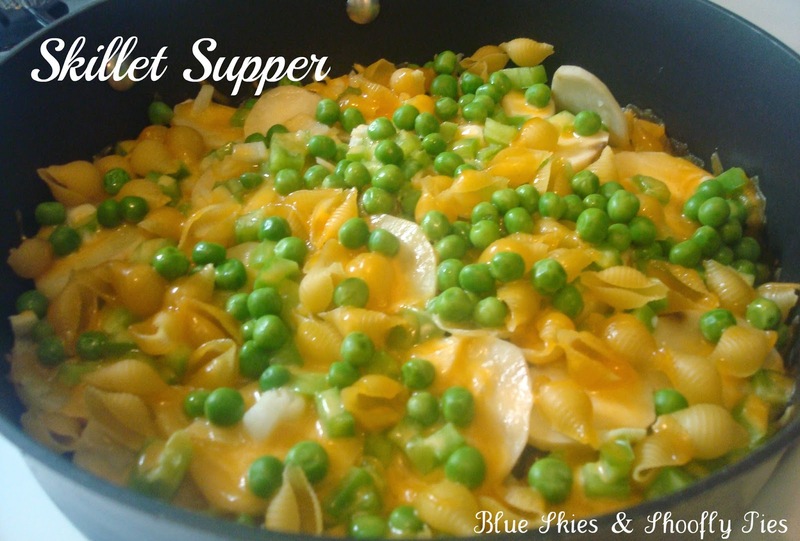 One of my hands-down favorites is this hearty and easy to make skillet supper. You simply slice and layer the wholesome ingredients in a covered pan and let it simmer for an hour. It is often my go-to recipe when I don't know what else to make, or just need to throw something together. A lot of my cooking these days falls into the simpler-the-better category. One day, I thought to myself, I really need to share this recipe with the world. Surely, someone else might need it, too. Heat a lightly greased skillet. Evenly spread hamburger (or sausage) in hot skillet. If using hamburger, I like to sprinkle it with some all purpose seasoning. Slice potatoes over the meat. Add onions, peppers, shell pasta, and corn or peas in layers. Sprinkle with salt. Add milk and top with cheese. Cover and simmer for 45-60 minutes. Yumm... and I thank you!! It couldn't be easier nor homier. How interesting, Bevy! My mom used to make a goulash recipe back in the 1970's but she used wide egg noodles and stew meat. We never minded eating it, it was delicious. I love versatile stove top recipes. I wish I could find a treasure box of recipes.